 Next Level Innovations seeks to build up the laity in our congregations as well as the pastoral and lay staff. It is an opportunity to develop our congregations and to give them tools to help their churches go from “Good to Great”. Two to Three sessions are planned through out Phase 1 for this purpose. This cohort will study the work of Sue Nilson Kibbey’s Breakthrough Prayer (Fall 2018), as well as, Phil Maynard’s Connect (Winter 2019).